This 2019 Nissan Versa S Plus is located at Dave Smith Nissan Spokane in the SPOKANE VALLEY, to setup a time to test drive this vehicle please give our friendly sales team a call at 509-904-1964 or to visit the full selection of vehicles online at www.DaveSmithNissan.com It has a liter 4 Cylinder Engine high output engine. The high efficiency automatic transmission shifts smoothly and allows you to relax while driving. Protect the Versa from unwanted accidents with a cutting edge backup camera system. Bluetooth technology is built into this small car, keeping your hands on the steering wheel and your focus on the road. - **Vehicle Options listed are when the unit was originally built. Please confirm the accuracy of the included equipment by calling the dealer prior to purchase. This vehicle is located at Dave Smith Nissan Spokane in the SPOKANE VALLEY, to setup a time to test drive this vehicle please give our friendly sales team a call at 509-904-1964 or to visit the full selection of vehicles online at www.DaveSmithNissan.com - **Vehicle Options listed are when the unit was originally built. Please confirm the accuracy of the included equipment by calling the dealer prior to purchase. This 2019 Nissan Versa SV is located at Dave Smith Nissan Spokane in the SPOKANE VALLEY, to setup a time to test drive this vehicle please give our friendly sales team a call at 509-904-1964 or to visit the full selection of vehicles online at www.DaveSmithNissan.com This small car has a 1.6 liter 4 Cylinder Engine high output engine. Front wheel drive on it gives you better traction and better fuel economy. The shiftable automatic in this Nissan Versa gives you to option to control your gears manually without having to give up the convenience of an automatic transmission. Protect the vehicle from unwanted accidents with a cutting edge backup camera system. Easily set your speed in this 2019 Nissan Versa with a state of the art cruise control system. Increase or decrease velocity with the touch of a button. Bluetooth technology is built into the Versa, keeping your hands on the steering wheel and your focus on the road. - **Vehicle Options listed are when the unit was originally built. Please confirm the accuracy of the included equipment by calling the dealer prior to purchase. This vehicle is located at Dave Smith Nissan Spokane in the SPOKANE VALLEY, to setup a time to test drive this vehicle please give our friendly sales team a call at 509-904-1964 or to visit the full selection of vehicles online at www.DaveSmithNissan.com The high efficiency automatic transmission shifts smoothly and allows you to relax while driving. The Kicks has a 1.6 liter 4 Cylinder Engine high output engine. See what's behind you with the back up camera on this Nissan Kicks. Bluetooth technology is built into this model, keeping your hands on the steering wheel and your focus on the road. Load groceries and much more with ease into this Nissan Kicks thanks to the power liftgate. This 2018 Nissan Kicks features tinted windows. - **Vehicle Options listed are when the unit was originally built. Please confirm the accuracy of the included equipment by calling the dealer prior to purchase. This 2019 Nissan Kicks S is located at Dave Smith Nissan Spokane in the SPOKANE VALLEY, to setup a time to test drive this vehicle please give our friendly sales team a call at 509-904-1964 or to visit the full selection of vehicles online at www.DaveSmithNissan.com This Nissan Kicks has a 1.6 liter 4 Cylinder Engine high output engine. The vehicle has an automatic transmission that includes a manual shifting mode. Front wheel drive on it gives you better traction and better fuel economy. Protect the vehicle from unwanted accidents with a cutting edge backup camera system. Bluetooth technology is built into this 2019 Nissan Kicks , keeping your hands on the steering wheel and your focus on the road. - **Vehicle Options listed are when the unit was originally built. Please confirm the accuracy of the included equipment by calling the dealer prior to purchase. This 2019 Nissan Sentra S is located at Dave Smith Nissan Spokane in the SPOKANE VALLEY, to setup a time to test drive this vehicle please give our friendly sales team a call at 509-904-1964 or to visit the full selection of vehicles online at www.DaveSmithNissan.com The vehicle has a 1.8 liter 4 Cylinder Engine high output engine. The Sentra is front wheel drive. This Nissan Sentra has an automatic transmission that includes a manual shifting mode. Protect this Nissan Sentra from unwanted accidents with a cutting edge backup camera system. This unit features cruise control for long trips. - **Vehicle Options listed are when the unit was originally built. Please confirm the accuracy of the included equipment by calling the dealer prior to purchase. This 2019 Nissan Sentra S is located at Dave Smith Nissan Spokane in the SPOKANE VALLEY, to setup a time to test drive this vehicle please give our friendly sales team a call at 509-904-1964 or to visit the full selection of vehicles online at www.DaveSmithNissan.com The vehicle has a 1.8 liter 4 Cylinder Engine high output engine. Front wheel drive on this small car gives you better traction and better fuel economy. See what's behind you with the back up camera on this vehicle. Easily set your speed in this 2019 Nissan Sentra with a state of the art cruise control system. Increase or decrease velocity with the touch of a button. - **Vehicle Options listed are when the unit was originally built. Please confirm the accuracy of the included equipment by calling the dealer prior to purchase. This 2019 Nissan Sentra SV is located at Dave Smith Nissan Spokane in the SPOKANE VALLEY, to setup a time to test drive this vehicle please give our friendly sales team a call at 509-904-1964 or to visit the full selection of vehicles online at www.DaveSmithNissan.com This Nissan Sentra has a 1.8 liter 4 Cylinder Engine high output engine. This Nissan Sentra is front wheel drive. The shiftable automatic in it gives you to option to control your gears manually without having to give up the convenience of an automatic transmission. See what's behind you with the back up camera on it. The leather seats are soft and supportive on the vehicle. - **Vehicle Options listed are when the unit was originally built. Please confirm the accuracy of the included equipment by calling the dealer prior to purchase. 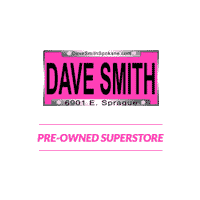 This vehicle is located at Dave Smith Nissan Spokane in the SPOKANE VALLEY, to setup a time to test drive this vehicle please give our friendly sales team a call at 509-904-1964 or to visit the full selection of vehicles online at www.DaveSmithNissan.com The vehicle has an automatic transmission. Protect the vehicle from unwanted accidents with a cutting edge backup camera system. Easily set your speed in this Nissan Kicks with a state of the art cruise control system. Increase or decrease velocity with the touch of a button. The vehicle features a hands-free Bluetooth phone system. - **Vehicle Options listed are when the unit was originally built. Please confirm the accuracy of the included equipment by calling the dealer prior to purchase. This vehicle is located at Dave Smith Nissan Spokane in the SPOKANE VALLEY, to setup a time to test drive this vehicle please give our friendly sales team a call at 509-904-1964 or to visit the full selection of vehicles online at www.DaveSmithNissan.com This vehicle has a 1.6 liter 4 Cylinder Engine high output engine. The high efficiency automatic transmission shifts smoothly and allows you to relax while driving. Protect this mid-size car from unwanted accidents with a cutting edge backup camera system. Easily set your speed in this 2018 Nissan Kicks with a state of the art cruise control system. Increase or decrease velocity with the touch of a button. Bluetooth technology is built into this unit, keeping your hands on the steering wheel and your focus on the road. Load groceries and much more with ease into this vehicle thanks to the power liftgate. - **Vehicle Options listed are when the unit was originally built. Please confirm the accuracy of the included equipment by calling the dealer prior to purchase. This vehicle is located at Dave Smith Nissan Spokane in the SPOKANE VALLEY, to setup a time to test drive this vehicle please give our friendly sales team a call at 509-904-1964 or to visit the full selection of vehicles online at www.DaveSmithNissan.com The Kicks has a 1.6 liter 4 Cylinder Engine high output engine. The high efficiency automatic transmission shifts smoothly and allows you to relax while driving. - **Vehicle Options listed are when the unit was originally built. Please confirm the accuracy of the included equipment by calling the dealer prior to purchase. This 2019 Nissan Sentra SR is located at Dave Smith Nissan Spokane in the SPOKANE VALLEY, to setup a time to test drive this vehicle please give our friendly sales team a call at 509-904-1964 or to visit the full selection of vehicles online at www.DaveSmithNissan.com This Nissan Sentra has a 1.8 liter 4 Cylinder Engine high output engine. This 2019 Nissan Sentra is front wheel drive. The shiftable automatic in the vehicle gives you to option to control your gears manually without having to give up the convenience of an automatic transmission. Protect the Sentra from unwanted accidents with a cutting edge backup camera system. The leather seats in this vehicle are a must for buyers looking for comfort, durability, and style. - **Vehicle Options listed are when the unit was originally built. Please confirm the accuracy of the included equipment by calling the dealer prior to purchase. This vehicle is located at Dave Smith Nissan Spokane in the SPOKANE VALLEY, to setup a time to test drive this vehicle please give our friendly sales team a call at 509-904-1964 or to visit the full selection of vehicles online at www.DaveSmithNissan.com This unit has a 1.6 liter 4 Cylinder Engine high output engine. This model has an automatic transmission. Protect this vehicle from unwanted accidents with a cutting edge backup camera system. This model features a hands-free Bluetooth phone system. Enjoy the convenience of the power liftgate on the Kicks. - **Vehicle Options listed are when the unit was originally built. Please confirm the accuracy of the included equipment by calling the dealer prior to purchase. This vehicle is located at Dave Smith Nissan Spokane in the SPOKANE VALLEY, to setup a time to test drive this vehicle please give our friendly sales team a call at 509-904-1964 or to visit the full selection of vehicles online at www.DaveSmithNissan.com It has a 1.6 liter 4 Cylinder Engine high output engine. The high efficiency automatic transmission shifts smoothly and allows you to relax while driving. - **Vehicle Options listed are when the unit was originally built. Please confirm the accuracy of the included equipment by calling the dealer prior to purchase. This vehicle is located at Dave Smith Nissan Spokane in the SPOKANE VALLEY, to setup a time to test drive this vehicle please give our friendly sales team a call at 509-904-1964 or to visit the full selection of vehicles online at www.DaveSmithNissan.com This Nissan Sentra has a liter 4 Cylinder Engine high output engine. This model has an automatic transmission. The vehicle is front wheel drive. Protect this vehicle from unwanted accidents with a cutting edge backup camera system. Easily set your speed in this Nissan Sentra with a state of the art cruise control system. Increase or decrease velocity with the touch of a button. The leather seats are soft and supportive on it. - **Vehicle Options listed are when the unit was originally built. Please confirm the accuracy of the included equipment by calling the dealer prior to purchase. This 2019 Nissan Kicks SR is located at Dave Smith Nissan Spokane in the SPOKANE VALLEY, to setup a time to test drive this vehicle please give our friendly sales team a call at 509-904-1964 or to visit the full selection of vehicles online at www.DaveSmithNissan.com This 2019 Nissan Kicks has a 1.6 liter 4 Cylinder Engine high output engine. Front wheel drive on the Kicks gives you better traction and better fuel economy. See what's behind you with the back up camera on this Nissan Kicks. This vehicle features cruise control for long trips. Bluetooth technology is built into the Kicks, keeping your hands on the steering wheel and your focus on the road. - **Vehicle Options listed are when the unit was originally built. Please confirm the accuracy of the included equipment by calling the dealer prior to purchase. This 2019 Nissan Altima 2.5 S is located at Dave Smith Nissan Spokane in the SPOKANE VALLEY, to setup a time to test drive this vehicle please give our friendly sales team a call at 509-904-1964 or to visit the full selection of vehicles online at www.DaveSmithNissan.com This 2019 Nissan Altima has a 2.5 liter 4 Cylinder Engine high output engine. Front wheel drive on this mid-size car gives you better traction and better fuel economy. It has an aux input for mp3 players. Protect this 2019 Nissan Altima from unwanted accidents with a cutting edge backup camera system. Easily set your speed in the vehicle with a state of the art cruise control system. Increase or decrease velocity with the touch of a button. Bluetooth technology is built into this vehicle, keeping your hands on the steering wheel and your focus on the road. This mid-size car has satellite radio capabilities. - **Vehicle Options listed are when the unit was originally built. Please confirm the accuracy of the included equipment by calling the dealer prior to purchase. This 2019 Nissan Rogue Sport S is located at Dave Smith Nissan Spokane in the SPOKANE VALLEY, to setup a time to test drive this vehicle please give our friendly sales team a call at 509-904-1964 or to visit the full selection of vehicles online at www.DaveSmithNissan.com This Nissan Rogue Sport has a liter 4 Cylinder Engine high output engine. It has an automatic transmission. Protect this 2019 Nissan Rogue Sport from unwanted accidents with a cutting edge backup camera system. - **Vehicle Options listed are when the unit was originally built. Please confirm the accuracy of the included equipment by calling the dealer prior to purchase.